The second leg of the FedEx Cup Playoffs is set to begin on Thursday morning at TPC Boston in Norton, Massachusetts. This will be the final year for the Dell Technologies Championship due to scheduling conflicts. This field is absolutely loaded and the competition should be fierce this weekend. Ninety-nine of the top 100 players in the world are set to tee it up this weekend. Let’s take a look at the betting odds and some predictions for this weekend’s event. 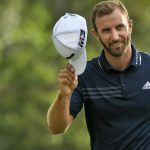 Dustin Johnson is once again the favorite this weekend, but he needs to start winning some golf tournaments. Johnson had a strange tournament last weekend, finishing with a ton of birdies but was out of contention. The number one ranked golfer in the world has four top-20 finishes at TPC Boston in his career. Perhaps this is the weekend that Johnson gets back on the winning track. 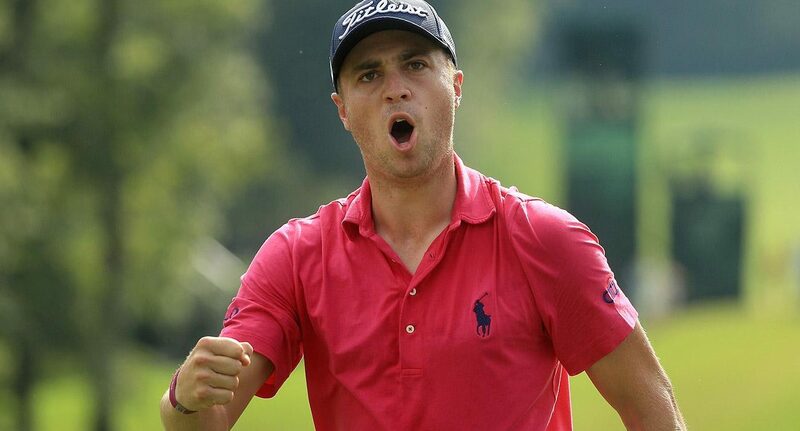 Justin Thomas is the defending champion at this golf course as well as the FedEx Cup playoffs. He was able to finish in 8th place last weekend despite not playing anywhere near his capability. Thomas has been one of the most consistent golfers of late, as he has finished in the top 10 in three straight events. He knows his way around this golf course and should be in contention on Sunday. Koepka was dreadful with the putter last weekend and it cost him greatly. If he is able to fix that problem, he should have a great chance to win this tournament. The two-time defending US Open Champion has climbed up the world rankings and is widely recognized as one of the top players on tour. Keep an eye on Koepka this weekend at TPC Boston. Preview: This group of sleepers is full of big names, and realistically any one of these golfers could be on top at the close of the tournament on Sunday. Rory McIlroy has been slumping of late but is the all-time earnings winner at this event. Jason Day has been in a mini0slump of late, but his talent is undeniable and he will snap out of it soon. Tiger Woods had a disappointing weekend at the Northern Trust Open but has been one of the best golfers in the past month. Look for him to be in contention on Sunday in this tournament. Both Jordan Spieth and Jon Rahm have shown glimpses of brilliance in recent weeks, but they can’t seem to put four rounds together. Perhaps this is the weekend that one of them can win it all. Adam Scott has had one of the best months of his PGA Tour career, but has yet to finish it off with a victory. Justin Rose is Mr. Consistent and always seems to find a way into the top 10. Preview: With so many big names entered into this tournament, there is still great value in selecting a golfer from the group of longshots to bet on this weekend. Last weekend Bryson DeChambeau came out of nowhere to win the Northern Trust Open to vault to the top of the FedEx Cup Standings. He comes in with +3300 odds this weekend. The runner-up last weekend at the Northern Trust Open, Tony Finau, is another name to keep an eye on this weekend. He is in competition with DeChambeau for the final spot on the American Ryder Cup team. Finau has four top-10 finishes in his last 10 starts and is playing the best golf of his career. Perhaps the best value this weekend could be found in Billy Horschel at +4500 odds to win the tournament. Horschel has a history of getting hot during the FedEx Cup playoffs and looked to begin that trend last weekend. He has the best value with the best potential out of anyone in the sleeper group. Prediction/Pick: As the race for the FedEx Cup heats up, the quality of play will increase as well. Last week’s Northern Trust Open was one by a longshot, Bryson DeChambeau, but don’t look for that trend to continue this weekend. Rory McIlroy will be a golfer to keep an eye on this weekend and he is likely to be in contention on Sunday. Look for Dustin Johnson and Jason Day to finish in the top-10 as well. All of these golfers will fall a little short of the pace set by Justin Thomas this weekend. Bet Justin Thomas +1000 to win the Dell Technologies Championship.